Star Wars 9 Trailer Won't Drop During the Super Bowl? Don't expect to see the first Star Wars 9 trailer air during the Super Bowl this Sunday. 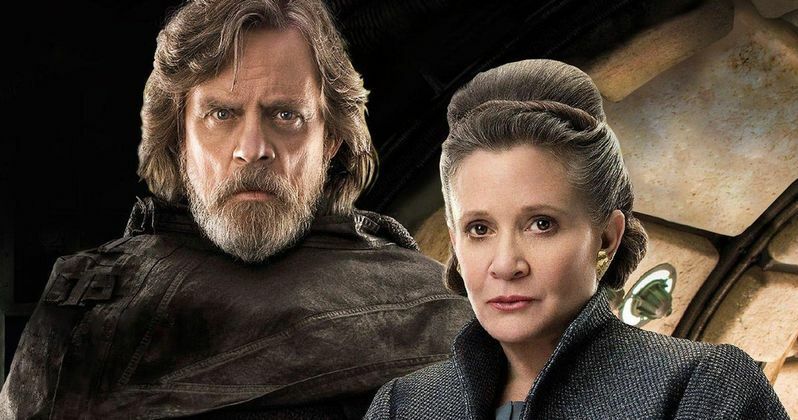 There has been rightful speculation and rumors floating around online recently that we were indeed going to get our first real look at the latest chapter in the Skywalker saga during the big game. Unfortunately, Disney and Lucasfilm aren't ready to unveil the footage just yet and, even if they are, they don't need to spend the big money that it costs to air a spot during the Super Bowl in order to bring attention to a Star Wars movie. According to a new report, Disney won't be showcasing a trailer for Star Wars 9 during the Super Bowl, despite the fact that they aired one for Solo last year. A key difference being that Solo was set to release in May of last year, whereas Episode IX won't be hitting theaters until December. As such, they have plenty of time to market the movie and they can do so at their own event, or on a day where they can fully dominate the news cycle. The Super Bowl brings with it not just the distraction of the game itself, but all of the other trailers that will drop that day. So far, we know that a trailer for the Fast and Furious spin-off Hobbs & Shaw will air during the game. There's also a chance Fox could surprise with a Dark Phoenix spot. Not to mention any surprises or unpredictable trailers that could arrive. Netflix is certainly a dark horse for that sort of thing. And Disney may want to focus on their upcoming Marvel slate, such as Captain Marvel or Avengers: Endgame. The MCU movies have been a staple of the Super Bowl over the years and there is no reason to think this year will be any different. The question then becomes, when will we see a Star Wars 9 trailer? Odds are, they're going to make us wait until Star Wars Celebration in April. That's what they did with The Last Jedi and it makes more business sense. It's their event and there won't be so many other distractions. Plus, it's a little bit closer to the release date. Not to mention that we haven't even learned the movie's official title yet and it's likely they will want to make that its own reveal. Disney also has movies such as Dumbo, Aladdin, The Lion King and Toy Story 4 that they could choose to promote during the Super Bowl. All of which could benefit more from a spot during the game that Star Wars might. Barring any surprises, don't expect to see Finn, Rey, Poe or Kylo Ren stealing any spotlight from Tom Brady this year. Star Wars Episode IX is directed by J.J. Abrams and is set to hit theaters on December 20. This news was previously reported by Deadline.